No refined sugar. No added nonsense. No added salt. Nothing artificial. 6 simple ingredients. Naturally high in calcium and potassium. No artificial colours or flavours. 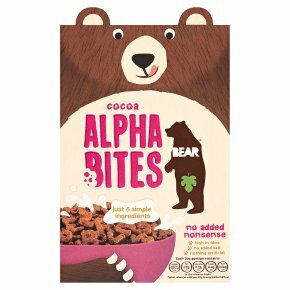 No nonsense breakfast Alphabites are a delicious, high-fibre breakfast cereal with no refined sugar or salt. Grrr. We use coconut blossom nectar which is low GI** and naturally high in calcium. **Coconut nectar has a low GI of 35 vs 70 for refined sugars.